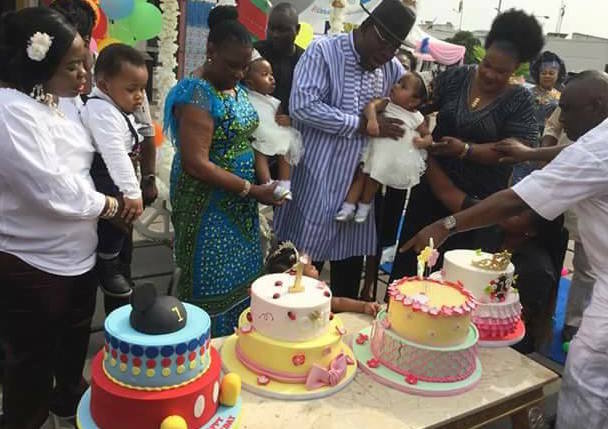 Governor of Bayelsa, Seriake Dickson and his wife, Rachel Dickson celebrated the first birthday of their quadruplets on Sunday. 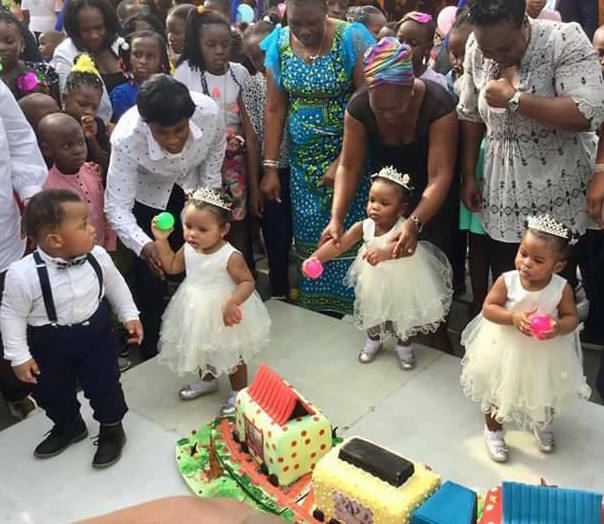 Dickson and Rachel welcomed the lovely babies, a boy and three girls, Ebierewarisuode, Edimere, Alaere and Alexander in America in September 2016. 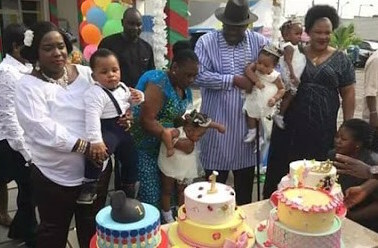 The Bayelsa first family chose to mark their children' s birthday 15 months after they were born. Dickson and Rachel welcomed the multiple babies after 15 years of marriage. 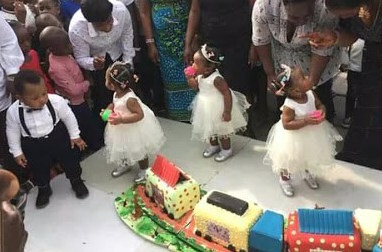 While Dickson had 11 kids from other women, Rachel his official wife was praying and waiting to experience the joy of motherhood. The babies are all grown up since the last time we saw them. They look adorable.